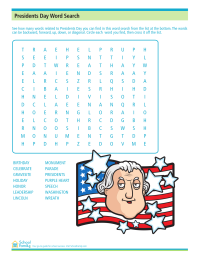 Find as many Presidents Day-related words as you can in this word search activity. See how many Kwanzaa words you can find in this word search from the list at the bottom. 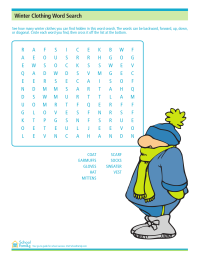 See how many winter clothes you can find hidden in this word search. 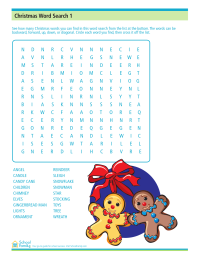 See how many Christmas words you can find in this word search.